The Pepsi Center is a long-standing Service customer and this capital improvement project included the removal of all existing sports lighting for both hockey and basketball games and the installation of 296 new, state of the art LED fixtures, some with RGB capability. 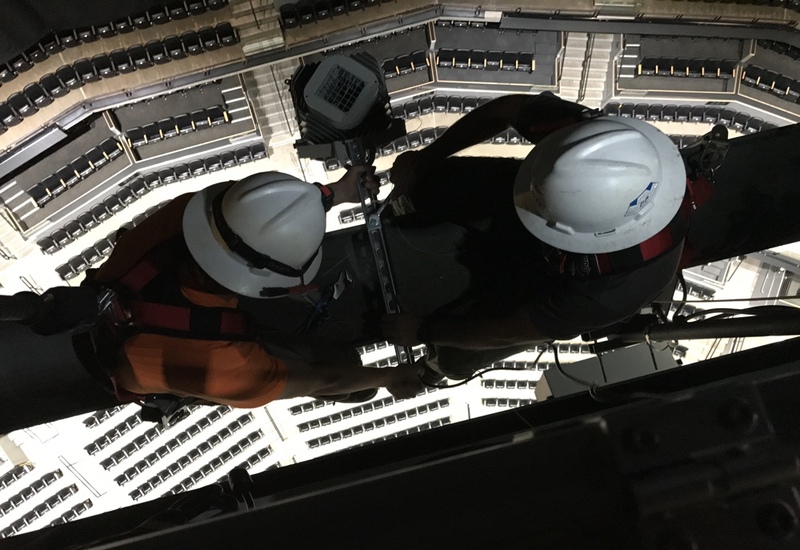 All work occurred on the catwalks approximately 120’ in the air so our Safety Manager developed a comprehensive plan which included the utilization of specialized fall-protection equipment. At the end, representatives from the NBA and NHL completed intensive performance tests of the system. This project was the first ever to meet or exceed the NBA and NHL lighting standards the first time around. Check out this great video of the project!